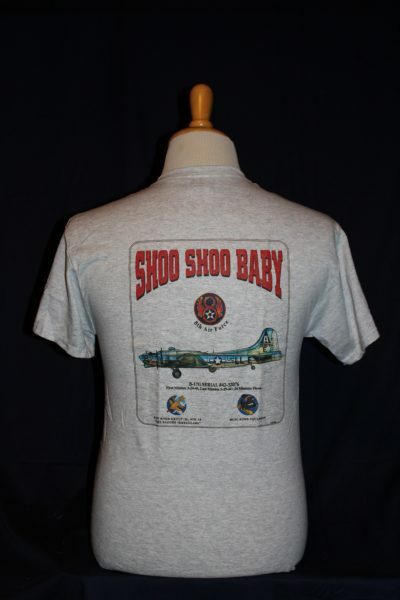 Front and back images are reversed in the aviation category. 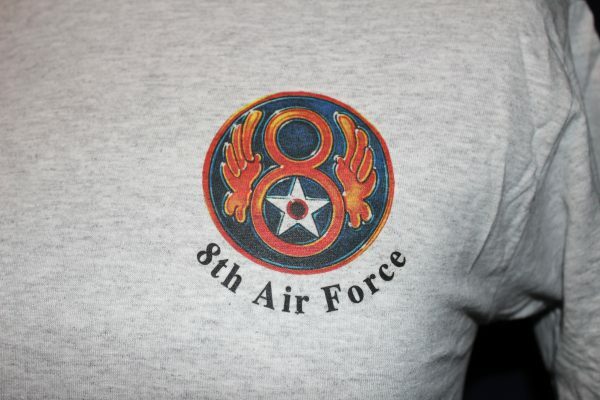 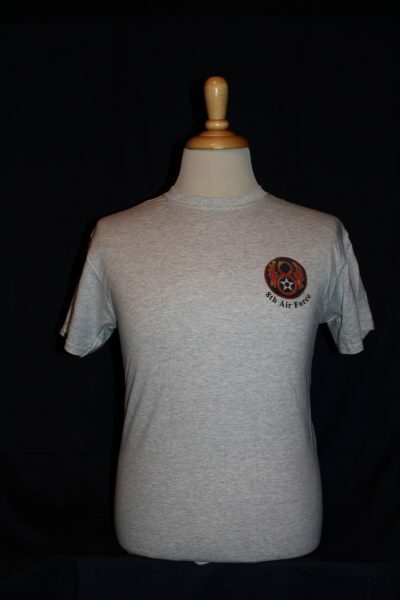 Left Front Chest: 8th Air Force Symbol. 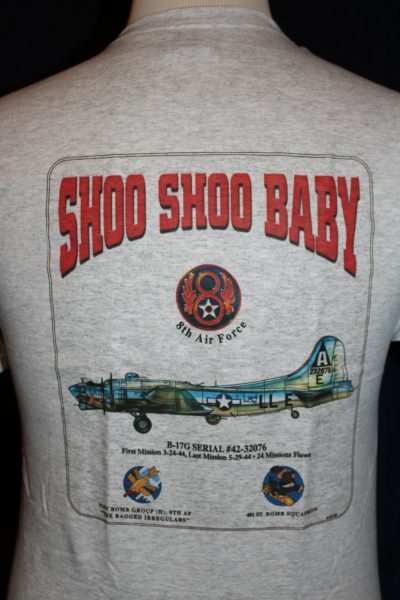 Back: B17G and symbols.